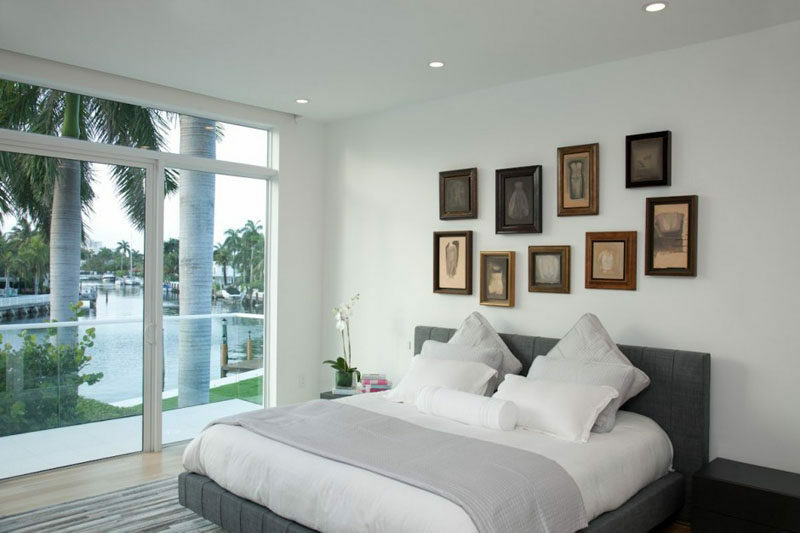 Filling a wall with art, photographs, and prints is a great way to personalize your home. 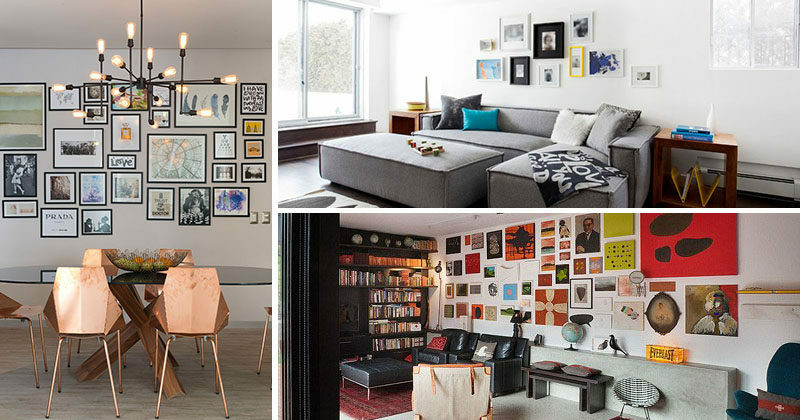 To give you some ideas of how you can lay out your own gallery walls, here are 11 inspirational examples of them in houses, apartments, restaurants, and offices. 1. 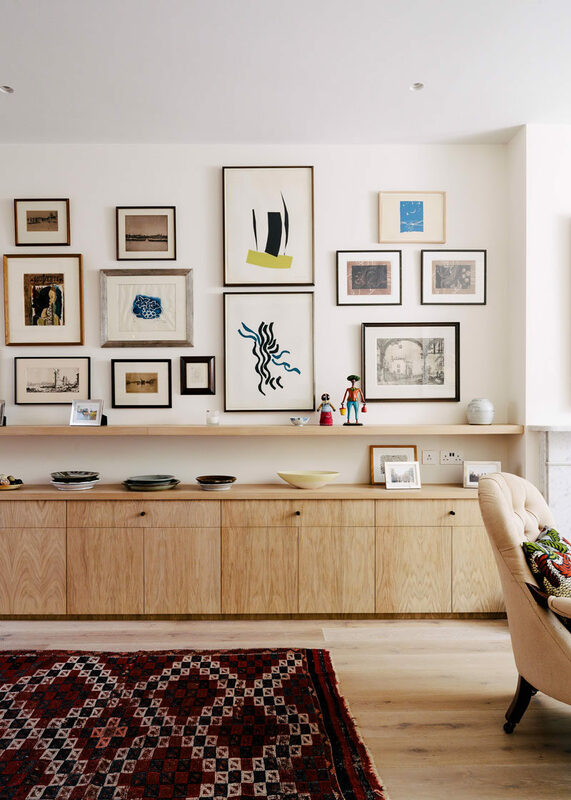 This gallery wall combines modern art with old photographs and maps to create a contemporary display that shows off the home owner’s many interests. Inspiration from a home designed by Neil Dusheiko. Photography by Agnes Sanvito. 2. 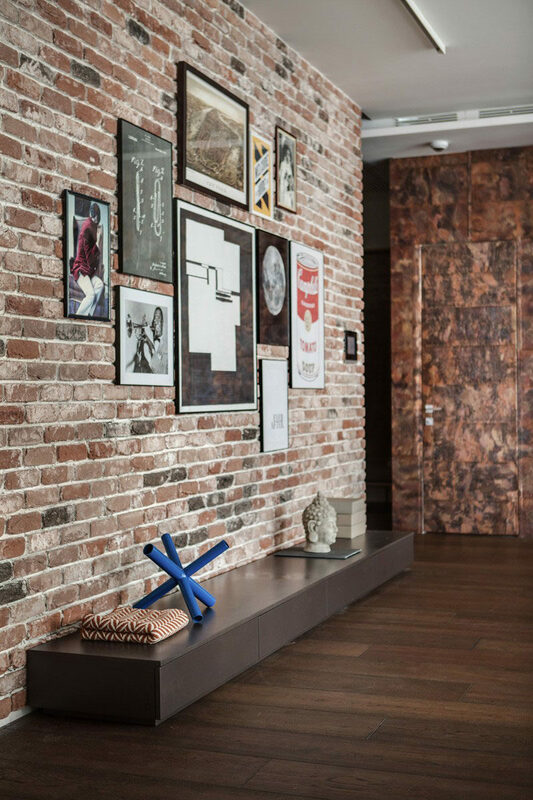 Artwork of various sizes have been hung on this exposed brick wall to add more life to the space, and the thin picture frames allow the pieces to stand out. 2B.group designed this modern apartment in Odessa, Ukraine. Photography by Andrey Bezuglov and Slava Balbek of 2B.group. 3. A collection of vintage art pieces hang above the bed in this modern bedroom adding a touch of personality to the space, and demonstrating how the old and the new can be used together to create a contemporary look. SDH Studio Architecture | Design designed this modern family home in Golden Beach, Florida. Photography by Robin Hill. 4. 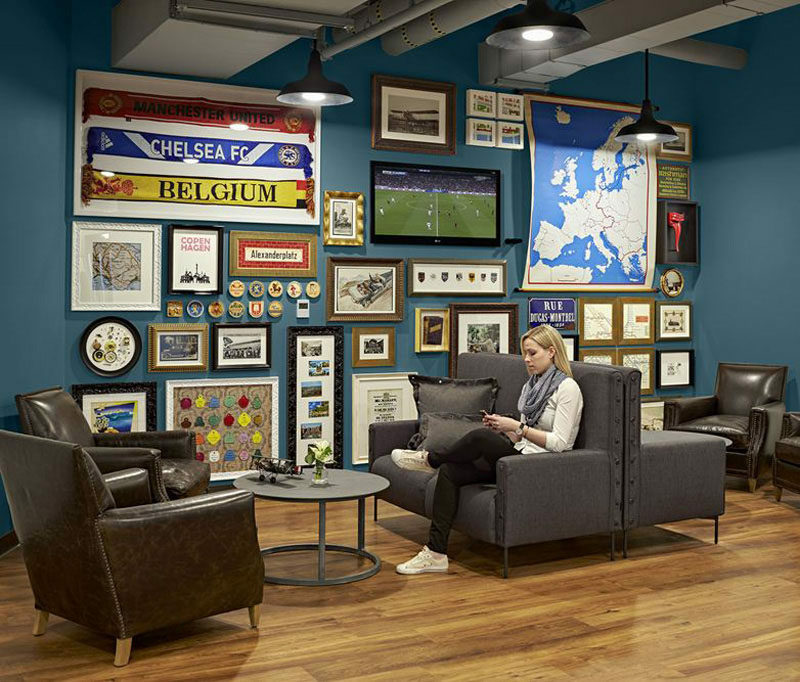 A small TV has been cleverly concealed by the other frames, maps, prints, and art hung around it on this gallery wall in an office setting. Inspiration from the TripAdvisor headquarters by BDG, Normandy Real Estate Partners and Elkus/Manfredi Architects. Photography by Robert Benson. 5. Prints and photos surrounded by simple black frames hang on the wall behind the dining table in this apartment and add color, personality, and life to the interior. Inspiration from an apartment designed by Kababie Arquitectos. Photography by Jaime Navarro. 6. The combination of black, colored, and white frames give this gallery wall a fun, playful look that reflects the life of the family living in the home. Catlin Stothers designed the modern interior of this home. Photography by Drew Hadley. 7. 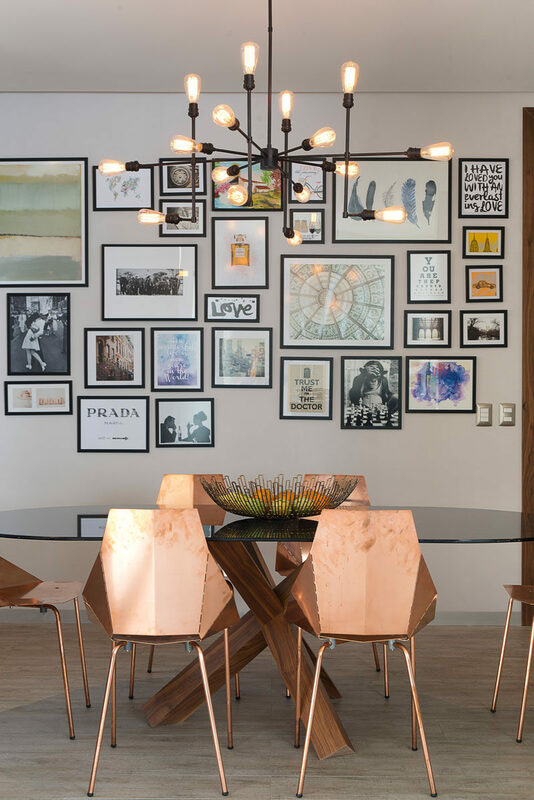 The gallery wall behind this dining table was thoughtfully created by framing black and white photos in all the same frames to create an organized and personal wall of art. Inspiration from an apartment designed by D’CRUZ Design Group. Photography by Murray Fredericks. 8. 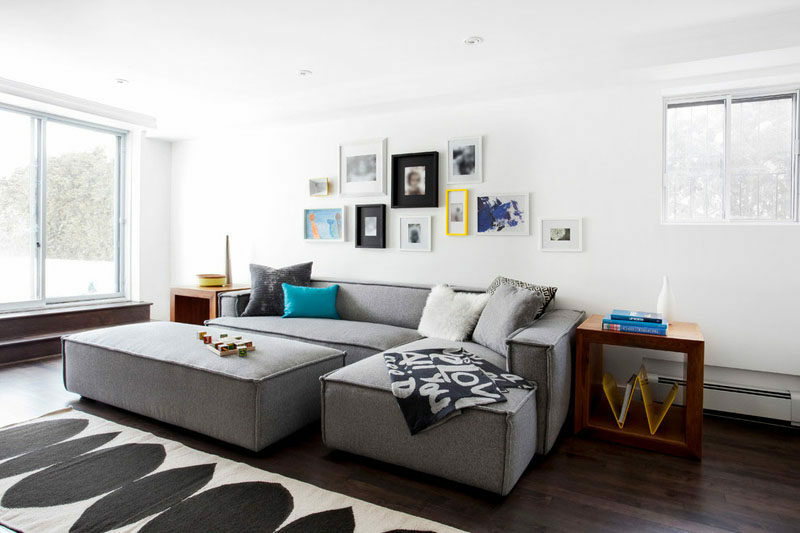 Photos in simple grey frames lead up the stairs of this home and create a simple gallery wall full of memories. SAOTA – Stefan Antoni Olmesdahl Truen Architects designed this modern house in Plettenberg Bay, South Africa. 9. Framed prints, large canvases, and other art pieces have been hung on this gallery wall to create a look that’s eclectic, personal, and organized. 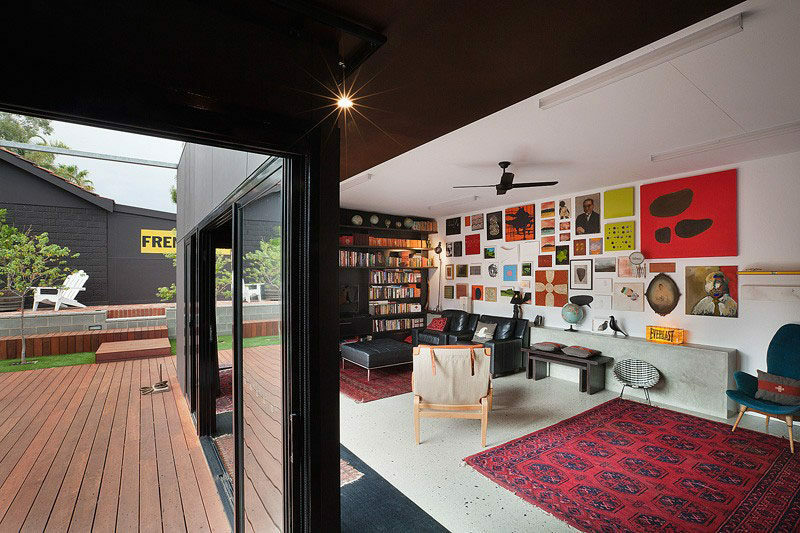 Philip Stejskal Architecture designed this modern house in Fremantle, Australia. 10. 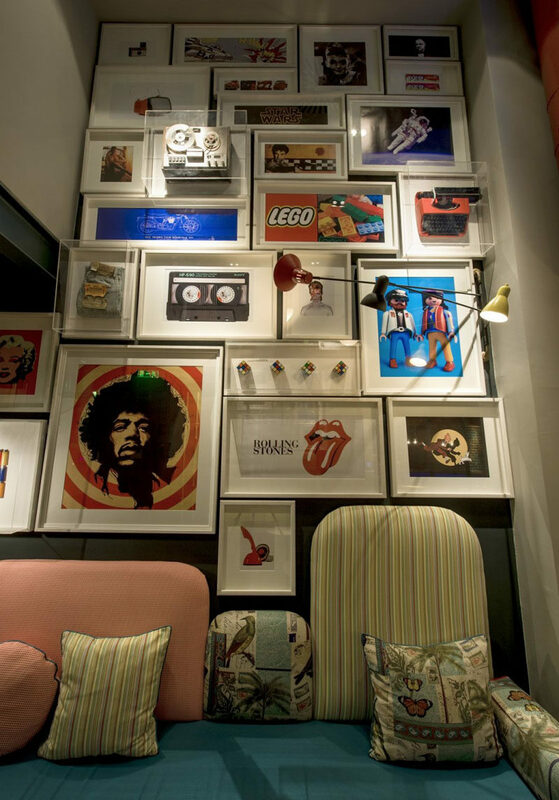 The gallery wall in this cafe combines prints with objects framed in glass boxes to add more dimension to the wall, and allow for more than just art to be included. Minas Kosmidis designed this cafe in Thessaloniki, Greece. Photography by StudioVD : N.Vavdinoudis – CH.Dimitriou. 11. 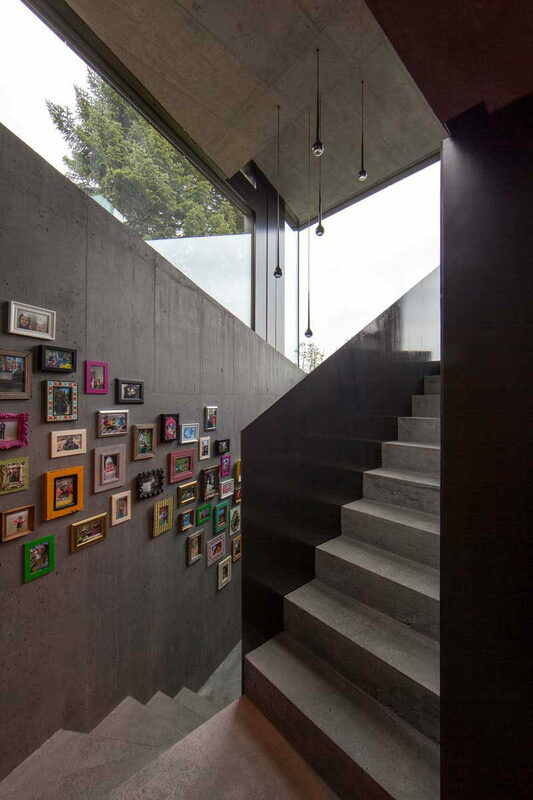 The colorful photo gallery on this wall leading down the stairs pop out against the grey concrete behind them and help to brighten up the staircase. 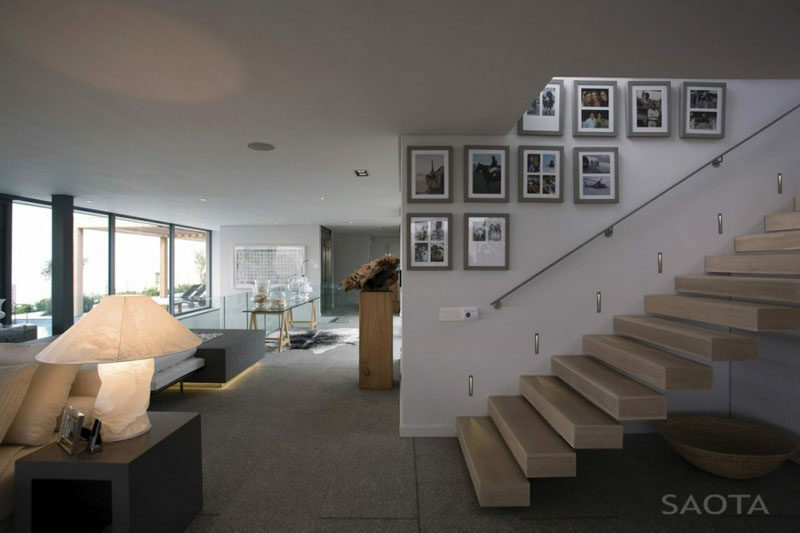 L3P Architekten designed this modern house in Zurich, Switzerland. Photography by Vito Stallone.